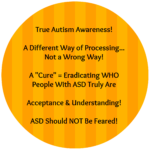 Do not assume that my child is trying to be rude or childish… He is on the Autism Spectrum. Do not assume that my son is older than he really is; therefore, holding him to the standards of a child much older… He is very tall for his age. Do not assume that my mobility issues are due to my being overweight or lazy… I have an invisible disability. 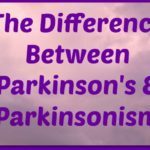 Do not assume that I have been drinking when I stagger or drop things… I have Parkinson’s. Do not assume that I am uneducated or am not ambitious… I chose to be a stay-at-home-mom and use my college degree in many ways. Do not assume if I do not introduce myself or participate in a conversation, then I am unfriendly… I am shy. 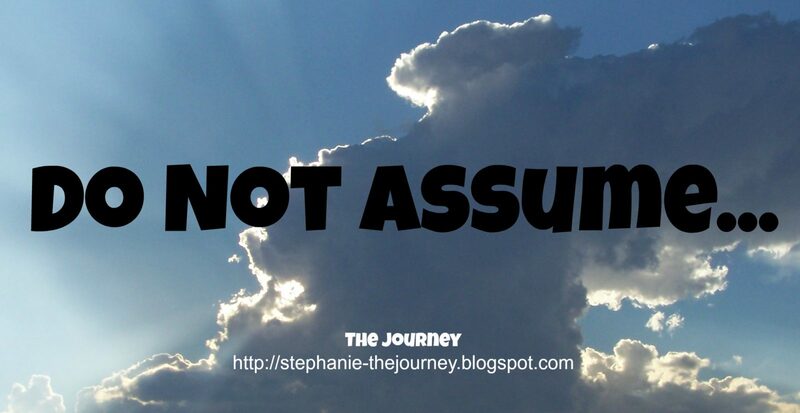 Do not assume if I have experienced abuse, then I am weak… They call me a survivor for a reason. 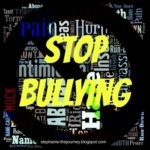 Do not assume if I am poor, am different, or do not stand up for myself, then it is OK to bully me… I am worthy of respect and have been taught to turn the other cheek. 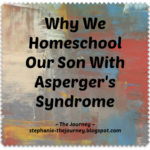 Do not assume that since I am a parent of a child with special needs, that I need pitied or am unhappy with the life I have been given… I was chosen by God to love and care for one of His most precious creations.